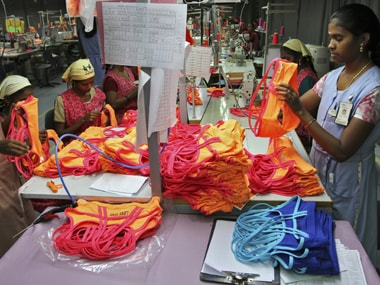 The beleaguered Indian textile industry is likely to get a breather after the finance ministry said it would direct banks to restructure loans worthRs 35,000 croregiven to the industry. According to a government release, "The total outstanding debt of textiles sector is Rs 1. 55 lakh crore, of which debt of Rs 35,000 crore needs restructuring. 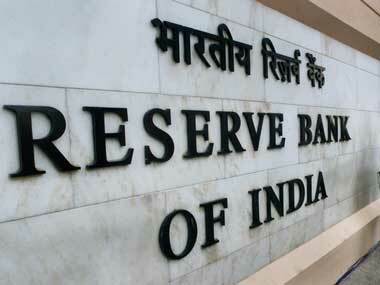 Government directions to banks to consider this on priority would be issued in this regard." 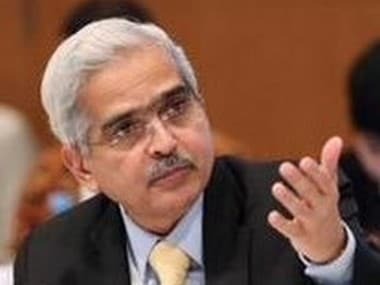 The Ministry of Finance, in consultation with Reserve Bank of India, hopes to give a two-year moratorium on term loans to textile companies, include a special provision in NPA norms to avoid asset reclassification.It will also convert 'eroded' working capital into term loans that can be repaid over 3-5 years. The decision however provides hope to local cotton producers for a pickup in demand in the coming months, as it will likely inject greater liquidity into cash-strapped mills just when overseas demand has dried up from major buyers such as China, Pakistan and Bangladesh, a report inWall Street Journalsaid. But don't expect it to change their fortunes significantly. 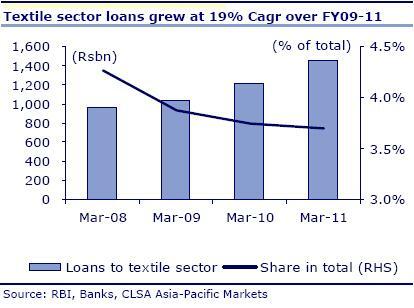 To be honest, a one-off restructuring of loans (and that too, by one-third of the total exposure of banks) is unlikely to significantly help either textile companies or firms. The point remains that textiles is a highly export-dependent industry, which has suffered in the past few years because of a slowdown in demand from the Western world, as well a steep fall in cotton prices. How will the loan restructuring affect banks? "Restructuring could mean two things, a haircut or a net present value (NPV) loss,"Nilanjan Karfa, banking analyst with Brics Securities, toldFirstpost. "Right now, it's not clear who will bear the brunt. If the government picks up the extra cost, banks will benefit. At the moment, I do not see any major negative impact on banks." 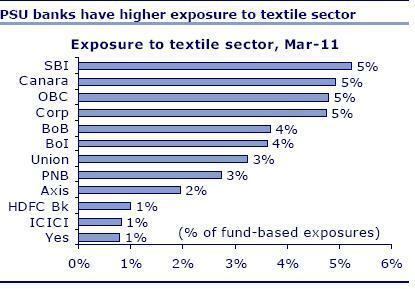 However, if banks do take a hit, public-sector banks will be the most affected since they have the highest levels of exposure to the sector (see chart below). The textiles sector, like gems and jewellery, is export-oriented. They generate low single-digit margins and any fluctuation in commodity prices, especially cotton, hits them hard. At the end of March 31, 2011, about 4 percent of portfolios of banks was accounted for by textile loans, which have grown by 19 percent over the past two years. Given that there is no light at the end of the export tunnel at the moment (export prospects are low and cotton prices continue to fluctuate), banks will continue to be wary of further increasing their exposure to the sector. In other words, the restructuring will only bring temporary relief to the textile industry. The bigger problems of floundering demand and volatile prices will continue to plague the industry.